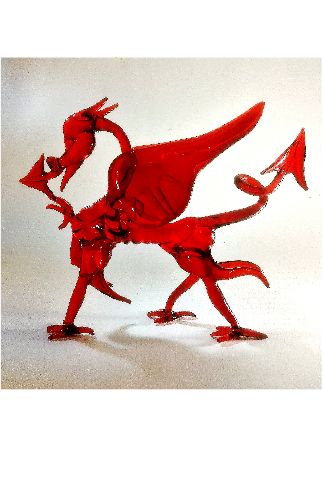 Small Handmade Red Welsh Dragon. 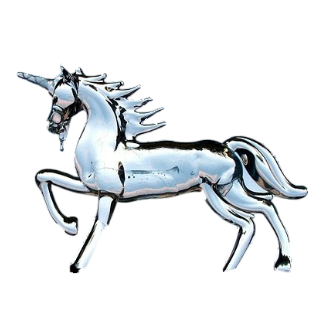 Buy a glass Welsh heraldic dragon, Y Ddraig Goch – THE dragon of Wales. 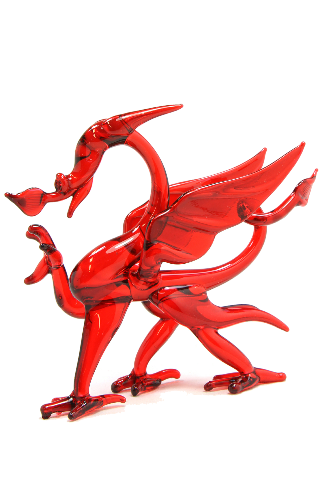 From the Glassblobbery. 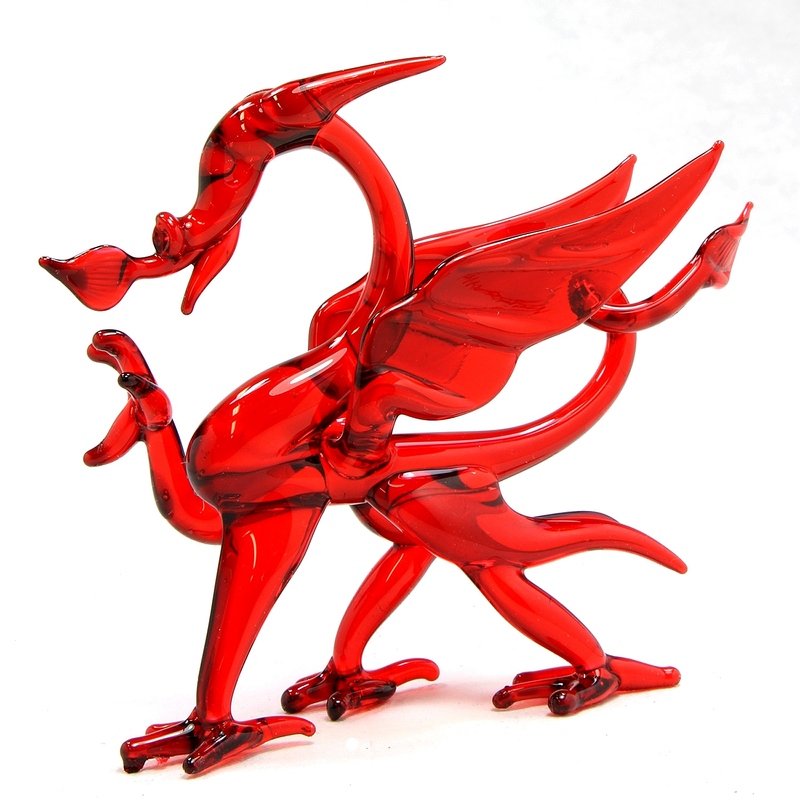 Buy this small Handmade glass Red Welsh heraldic dragon, handmade at the Glassblobbery in North Wales. This and made dragon (Y Ddraig Goch) is based on the dragon on the Welsh flag. 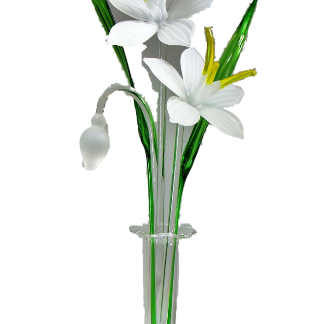 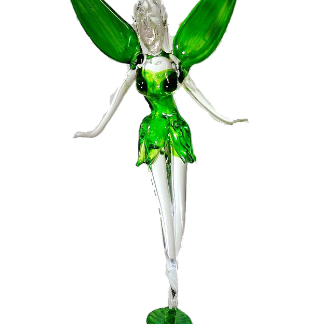 It is made of clear glass and coated with red lamp lacquer. 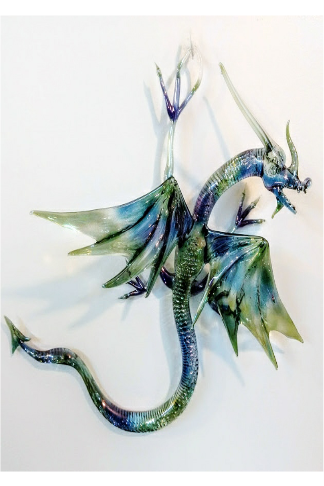 I also make clear versions of the dragon. 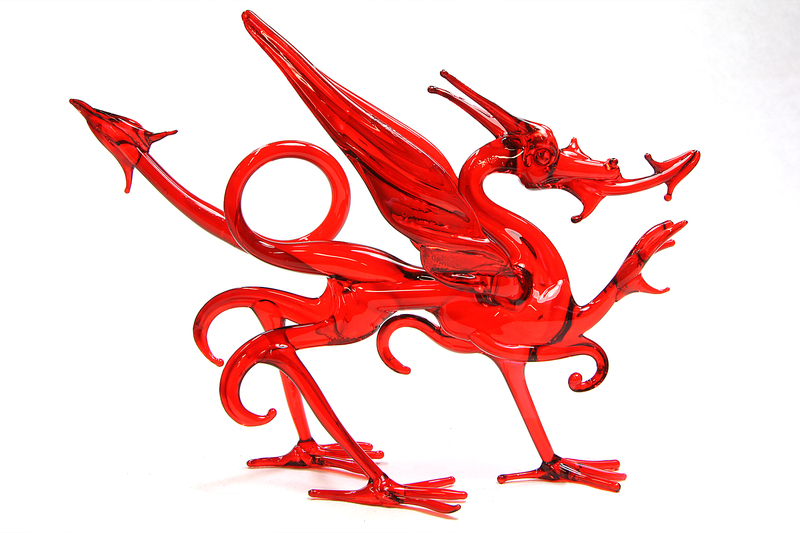 From our workshop in Glanrafon – N. Wales.